Gecko’s extensive range of products provides a tourist and caravan park solutions from landscaping and campsite definition, to sporting and recreation areas, even putting greens. 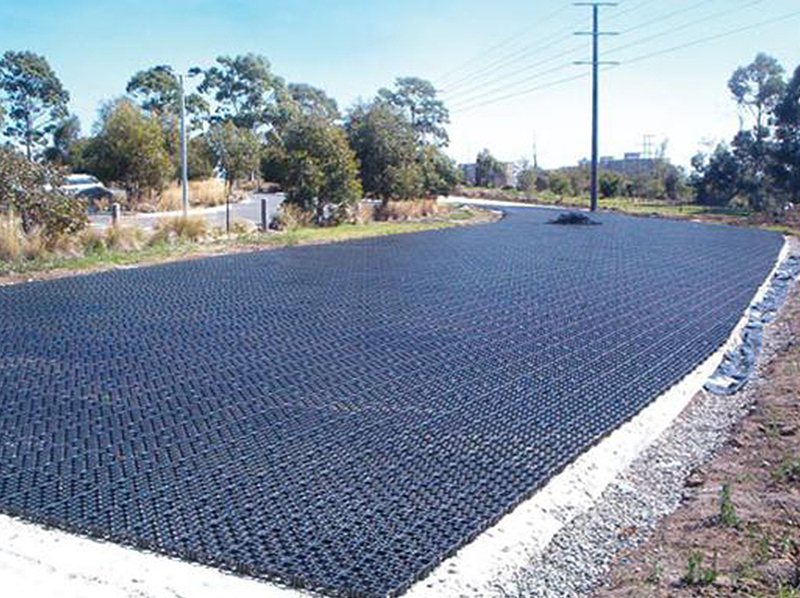 Gecko products provide a durable and attractive alternative to traditional grass surfaces that often do not stand up to the pressure of frequent traffic and activity. Our outstanding guarantees ensures your confidence in the strength and durability of our campsite products. Geckos premium synthetic grass surfacing is suitable for wet areas and creates an aesthetically pleasing surface to surround pools and water features. The grass is UV resistant and eliminates hard, slippery and often ‘hot’ pavers and concrete. Spend more time in the pool and less time maintaining the lawn with Gecko Premium Synthetic Grass Products. Whether you are looking to install a multi-sport court, tennis court or netball/basketball court, Gecko has a product to suit your needs. 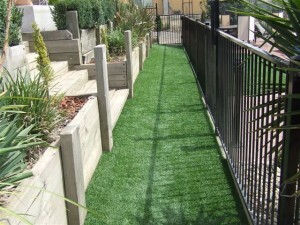 Choose from a Synthetic Grass or Acrylic Surface. You are sure to find a solution to meet your needs and keep your visitors active. Your guests can ‘putt’ their days away with the installation of a synthetic grass putting green. With a Gecko putting green you can be sure that the surface will be carefully contoured and designed to promote maximum challenge and enjoyment for your guests. Gecko domestic grass products are attractive and ‘life-like’. The triple layer latex backing combined with other quality materials provides greater product durability and therefore lasts longer. Our larger crumb infill cells of product MSPRO®45 ‘Rebound’ also provides an increased level of cushioning and hence feels great underfoot. The grasses are low maintenance, require no watering and come with an unprecedented guarantee of up to 10 years – MSPRO®45 ‘Plush’. Be the envy of the whole street with a front lawn and naturestrip that never needs mowing, never dies off, never needs weeding and always looks green and lush. While others work up a sweat pushing the mower, you could be sitting back and relaxing around the BBQ or pool or other more important activities. Gecko Premium Synthetic Grasses allow you to have beautifully manicured lawns all year round without the need to spend time and money mowing and maintaining it. Gecko’s synthetic grass range provides a permeable surface design which is easy to clean and allows moisture to flow through to the sub-soil. This makes our range perfect for pet areas and a simple maintenance routine will ensure that odours are kept at bay. Because synthetic grass can withstand constant foot traffic it is a sought after solution for garden pathways and contributes to a calm relaxing atmosphere. Use it in shady areas where grass struggles to grow or simply to provide a meandering green pathway for the eyes to follow throughout the garden. Whether you wish to practice your ‘putt’ or sink a few balls over your favourite beverage, a Gecko backyard putting green is a relaxing way to while away the hours. With a Gecko putting green you can be sure that the surface will be carefully contoured and designed to promote maximum challenge and enjoyment for you and your guests.